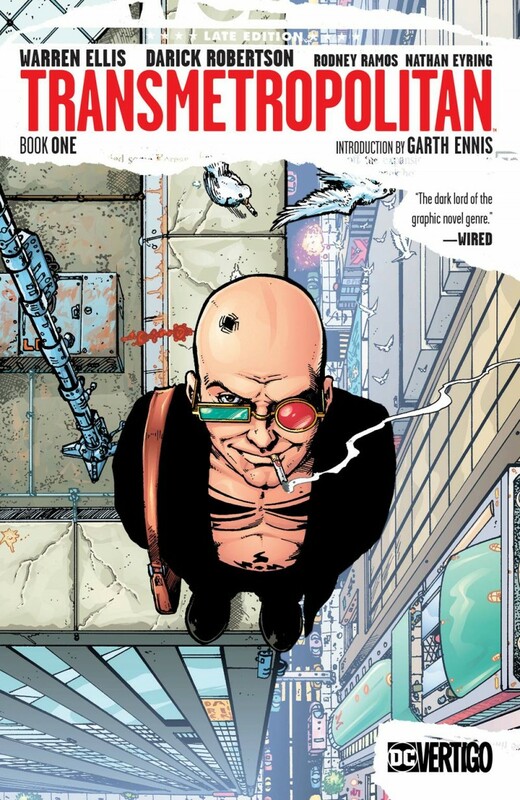 Working as an investigative reporter for the newspaper The Word, Spider Jerusalem attacks the injustices of his surreal 21st-century surroundings. Spider ventures into the dangerous Angels 8 district, home of the Transients-humans who have decided to become aliens through cosmetic surgery. And don’t miss Spider’s confrontation with the president of the United States…in a men’s room. Plus, when Spider tries to shed light on the atrocities of these institutions, he finds himself fleeing a group of hit men/kidnappers in possession of his ex-wife’s frozen head.